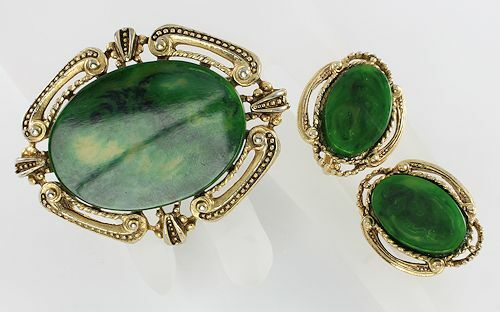 Beautiful vintage spinach green bakelite brooch and earrings set. Brooch measures 2 1/8 inches by 1 11/16 inches. Screwback earrings measure 1 inch by 7/8 inches. 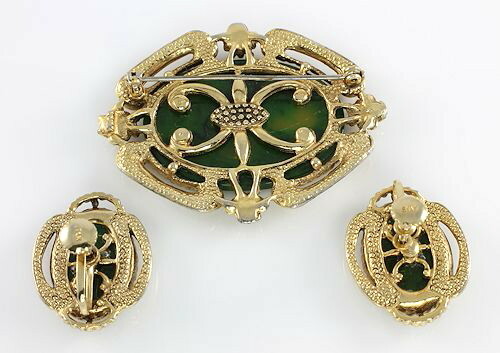 The gold tone metal frame has lovely detailing front and back in a Victorian revival design. All pieces are marked STAR. 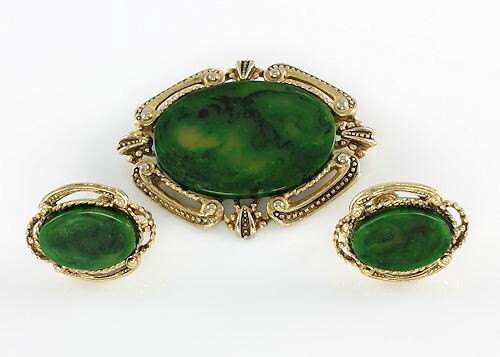 Set is in very good vintage condition; there is a hairline scratch on the back of the bakelite piece of the brooch but this does not affect the integrity or beauty of the piece at all in my opinion. Circa 1960s.